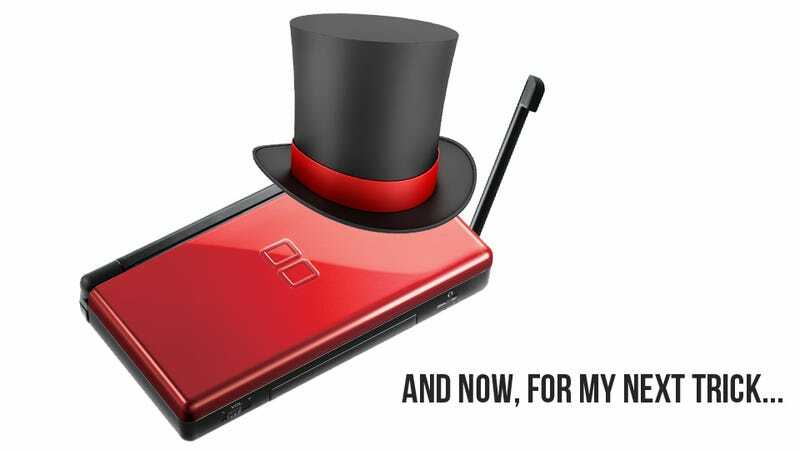 Nintendo's DS. With over 152 million units sold worldwide, the dual-screen portable console is without a doubt Nintendo's biggest seller ever. But now, 8 years after its initial release, currently being outsold by its successor, the 3DS, it seems the DS is almost completely ready to quietly disappear into the night from the Japanese market. Almost. As of December 13th of last year, the last cartridge games for the DS, the Special Price version of Sega's Puyo Puyo!! and the Best Selection version of Momotarou Dentetsu World were released with no subsequent cartridge games listed in the upcoming column of Japan's gaming magazine, Weekly Famitsu. The following week, the DS was no longer listed in the weekly console sales charts of the magazine. Although there seems to be no more physical cartridge games left on the horizon, there still appears to be life in the record-breaking handheld. At least 2 more DSiWare games are awaiting release. Weekly Famitsu's website (although not the magazine) lists the game Nazo no Minigame, a minigame-based RPG to be released on January 30th. The Weekly Famitsu magazine itself (although not the website) also lists the game Chara Pashya! Sugarbunnies, a photo manipulation tool that allows you to add Sanrio's Sugarbunnies characters to photographs taken with your DSi. The game has no stated release date but looks to be part of the Chara Pashya! series from Nippon Columbia. It's nice that the DS is still getting some love. While most of the attention currently goes to the 3DS, the DS made the biggest splash and it did it first. After both remaining DSi Ware games are released, unless a new game is announced in the meantime, it looks like that could be the end of the DS' run in Japan. Say it ain't so. Kotaku has reached out to Nintendo for comment on the current status of the DS. We will update when we hear back from them.